Mike Allred and DC Comics have their own Lazarus Pit: It’s called art. 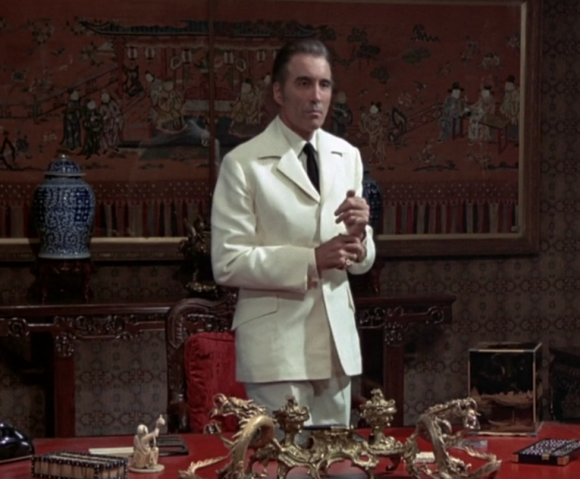 If you’ve been following along — and even if you haven’t — I’ve written numerous times that the greatest role Christopher Lee never got to play was Ra’s al Ghul. The story was well-received, I’m pleased to say — a fan even drew his own version of Lee as Ra’s — as was my piece on how Caroline Munro would have been the perfect Talia. (Click here for that. That’s fun too). Hell, they even acted together in Dracula A.D. 1972. 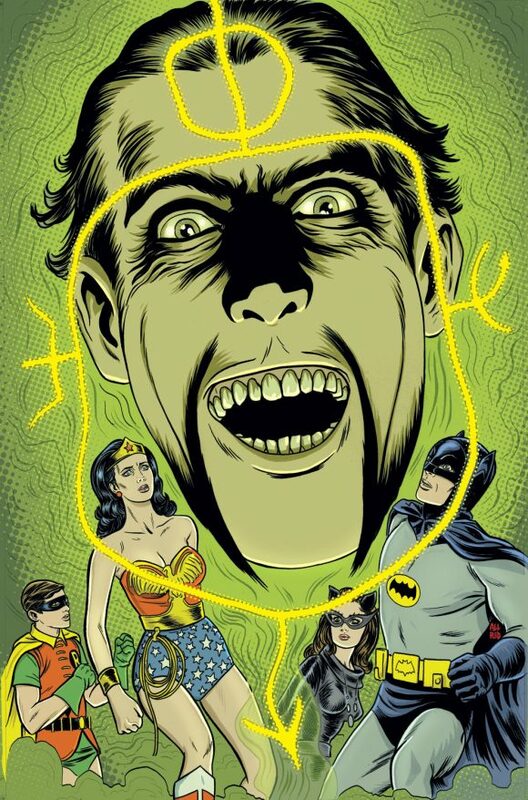 Well, imagine my shock when I saw the upcoming cover for April’s Issue #4, by Mike Allred: There, in all his menacing glory is Christopher Lee as Ra’s al Ghul. I mean compare this cover to one of the most famous images of Lee as Dracula. Where the Demon’s Head has his funky facial hair, the vampire has blood dripping down his chin. Now Mike’s not talking. But I happen to know that, like me, he’s a big fan of the underappreciated James Bond flick The Man With the Golden Gun. Like me, he’s down with Scaramanga. And DC will never admit something like this. 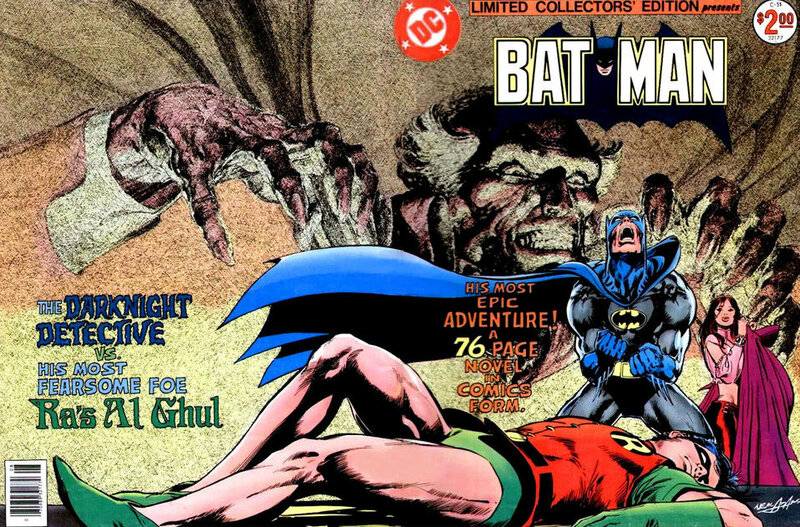 But I do have it on good authority that yes, our little campaign here, if you want to call it that, resulted in Christopher Lee as Ra’s al Ghul, at least on the cover. And for that I’m eternally proud and grateful. Because even if I never got to see Lee in that great role that never happened, I get the next best thing. Now, I just have to pick out a frame. 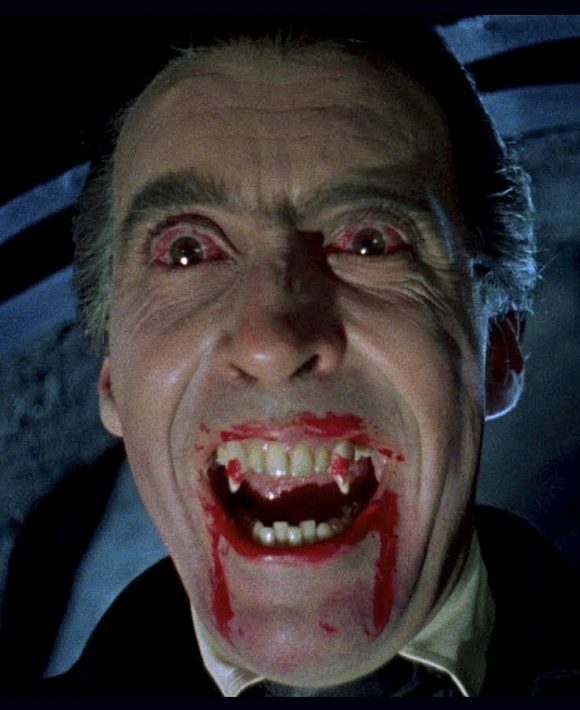 Heh, DC has been denying Christopher Lee’s casting as a villain ever since Mike Grell drew him as the vampire Gustav DeCobra back in Detective # 455 in 1975! 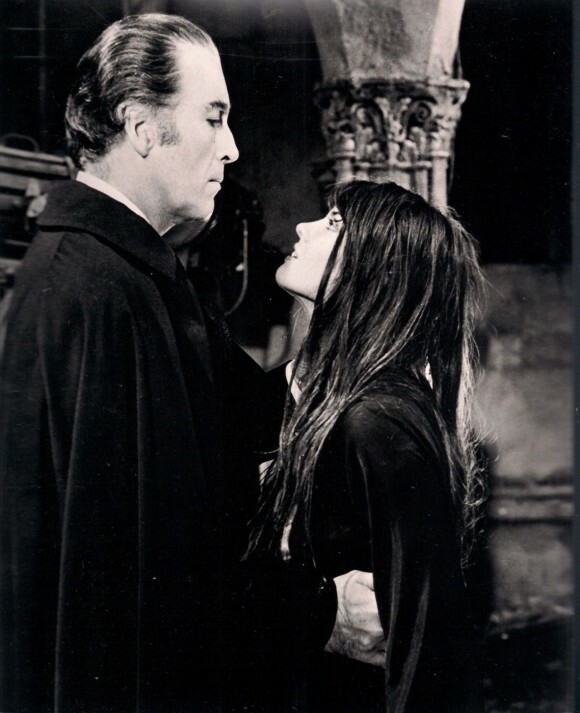 Grell clearly drew Lee as the vampire, and even homaged some classic shots from the first Hammer Dracula film, but Julie Schwartz said “no” and had Grell SLIGHTLY cover-up the likeness. But not by much. You can still see it. Glad to see Ra’s has now been properly cast! Hey, if Lee could show up in Captain America II: Death Too Soon, he could do THIS projected TV movie!